Welcome to 5735 Magnolia Shore Lane. This one level villa home built in 2010 offers maintenance free living at its best. Floor plan offers 1,624 sq ft, 2 bedrooms and 2 baths and hardwood floors throughout entire home with the exception of the bathrooms & laundry area. As you enter you’ll instantly notice the open feel with the Living area w/ cathedral ceilings and fireplace w/ gas logs. Read a good book in the adjacent light & bright Sunroom. 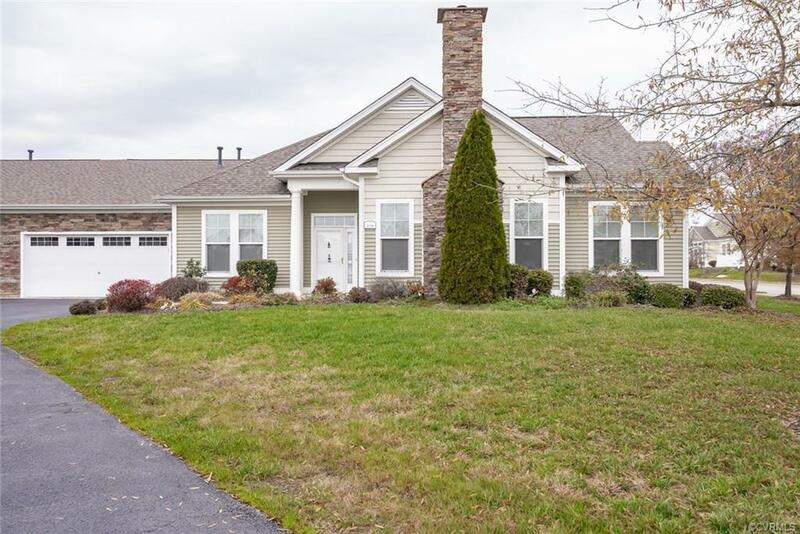 Kitchen offers granite counter tops, upgraded 42” tall cherry cabinets and gas cooking / built in microwave– ALL APPLIANCES CONVEY AS IS– WASHER, DRYER & REFRIGERATOR. The 12 x 19 spacious master suite offers his / her closets and upgraded master bath w/ double vanities and a large roll in shower stall. Secondary bedroom is generous in size as well and has it’s own hall bath next to the laundry area. Exterior offers vinyl siding, stone fireplace, 2 car front entry garage, paved driveway and a beautifully landscaped yard. Location is ideal – close in proximity to shopping, dining and major interstates. (Plasma TV in LR & M. Bdr will convey AS IS). First Right of Refusal on Property.